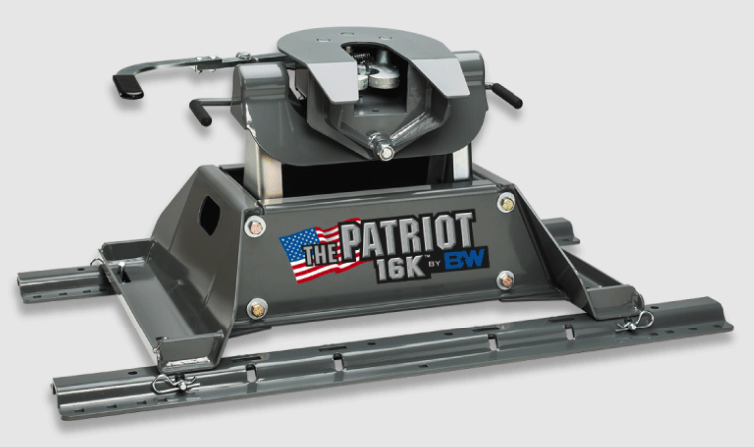 PATRIOT 16K A light-weight, American-made, rail-mounted hitch with many of the same great features as the Companion. The Patriot series is a lighter weight, less expensive, rail-mounted alternative to the Companion. Although its rail system makes it different from the Companion, the Patriot will still give you the smoothest ride on the road. As its name suggests, this Patriot hitch can pull 16K GTW. 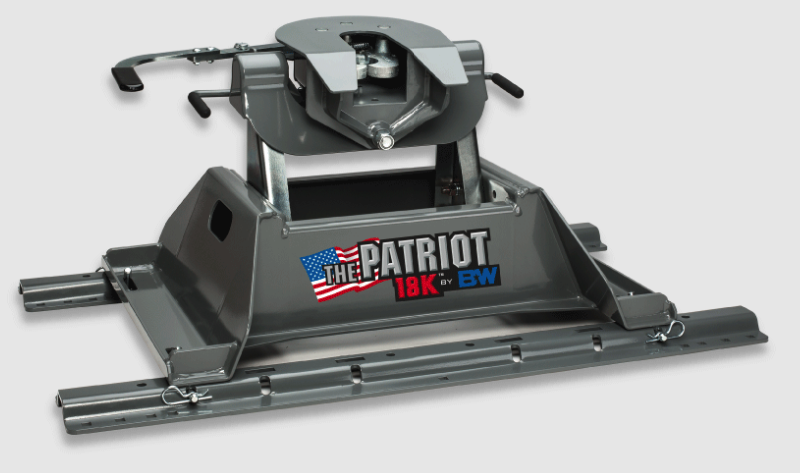 PATRIOT 18K A light-weight, American-made, rail-mounted hitch with many of the same great features as the Companion. The Patriot series is a lighter weight, less expensive, rail-mounted alternative to the Companion. Like its big brother, it'll give you the smoothest ride on the road. Its one-piece base design makes for easier installation and a higher tow rating. As its name suggests, the Patriot hitch can pull 18K GTW. PATRIOT 18K SLIDER A light-weight, American-made, rail-mounted slider hitch with many of the same great features as the Companion. The Patriot series is a lighter weight, less expensive, rail-mounted alternative to the Companion. Like its big brother, it'll give you the smoothest ride on the road. 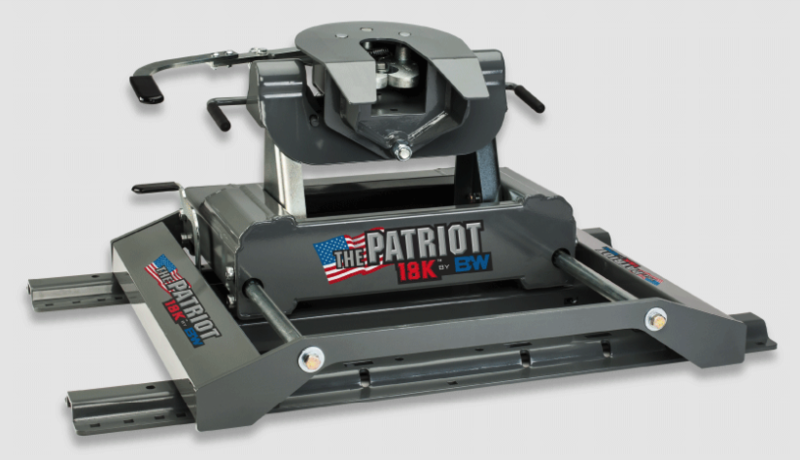 As its name suggests, the Patriot hitch can pull 18K GTW, plus it has 12" of slide for maneuvering a short bed truck.